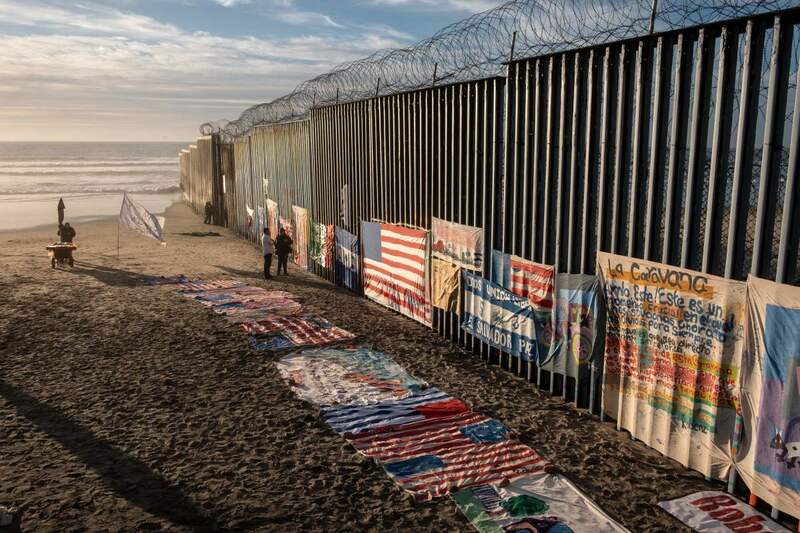 An exhibit by local artist Robenz is on display on the beach next to a section of the U.S.-Mexico border fence as seen from Tijuana, in Baja California state, Mexico, on January 8th, 2019. 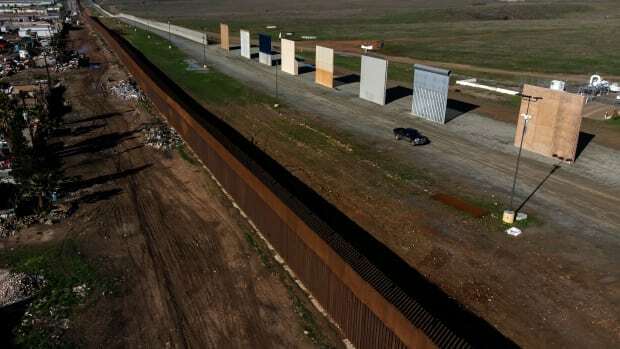 In the hours ahead of President Donald Trump&apos;s visit to the United States–Mexico border Thursday, left-leaning politicians and media personalities tweeted photos of large expanses of land, a sign that, contrary to the White House&apos;s description of a chaotic front, all is, in fact, quiet on the southern front. Trump&apos;s visit was planned in order to heighten attention to his push for billions in taxpayer dollars for a wall along the southern border—a demand that Democratic House Majority Leader Nancy Pelosi, Senate Minority Leader Chuck Schumer, and others have labeled as a waste of taxpayer funds. 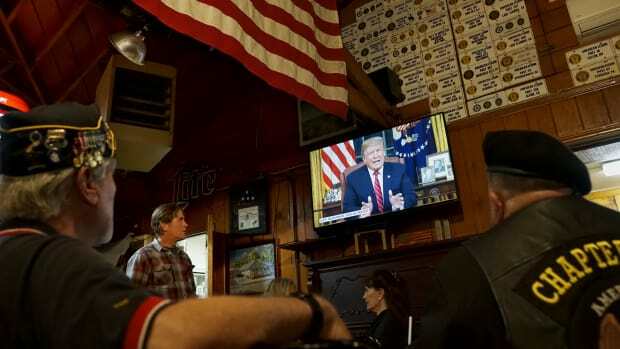 Those critics have lambasted the president for manufacturing a crisis at the southern border that they say does not exist, and blamed the president for a government shutdown that is crippling various aspects of American life. 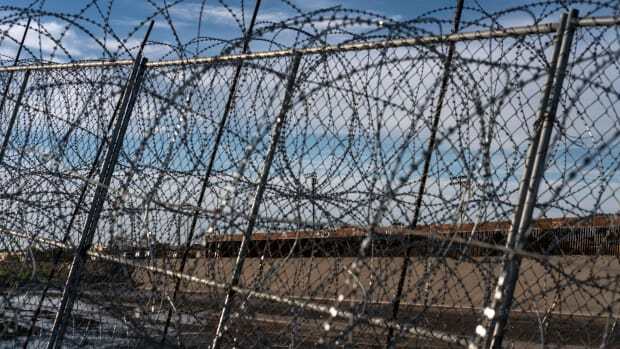 Days before the border visit, in the first Oval Office address of his presidency, Trump painted a dire picture of a "humanitarian crisis" at the U.S. border, which he characterized as a point of entry for violent criminals and illicit drugs. 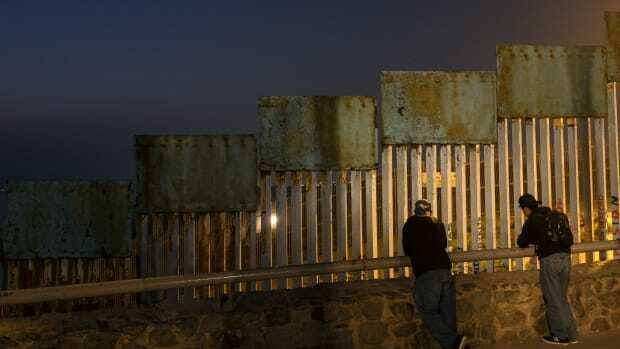 $5 billion: The amount of taxpayer money that the president is asking the government to allocate to his wall project. Critics frequently note that the president promised that Mexico would pay for the wall project, but on Thursday, Trump seemed to walk back that promise. $18 billion: The administration&apos;s total projected cost for Trump&apos;s wall project. 303,916: The number of migrant apprehensions at the U.S.–Mexico border in Fiscal Year 2017, a record low touted by Customs and Border Protection. 20 percent: The proportion of prison inmates who were "known or suspected aliens," according to an administration report released in June. 66 percent: The proportion of undocumented immigrants who arrived in the U.S. in 2014 not through the U.S.–Mexico border but through visa overstays, according to a recent Center for Migration Studies report. Only about a third of arrivals had traversed the southern border, the findings showed. 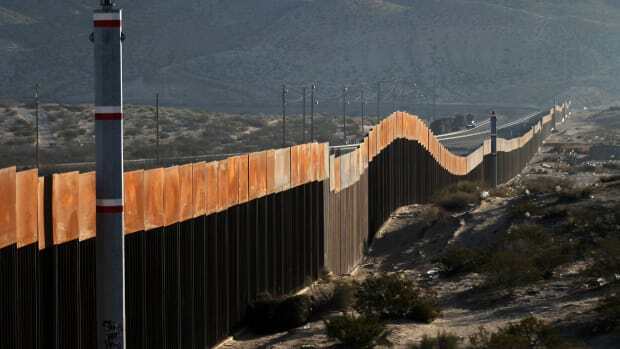 1,000: The number of miles Trump&apos;s proposed border wall would traverse, according to Ronald Vitiello, acting deputy commissioner of the CBP. 0.5: The proportion of the roughly 2,000-mile stretch between the U.S. and Mexico that the administration&apos;s proposed wall would cover. 650: The number of miles along the border already divided by some form of barrier. 10: The number of years it could take to build the border wall with 10,000 workers, according to a recent Washington Post report. 22: The number of immigrants who have died in Immigration and Customs Enforcement custody under the Trump administration, according to a recent NBC News assessment of public records. 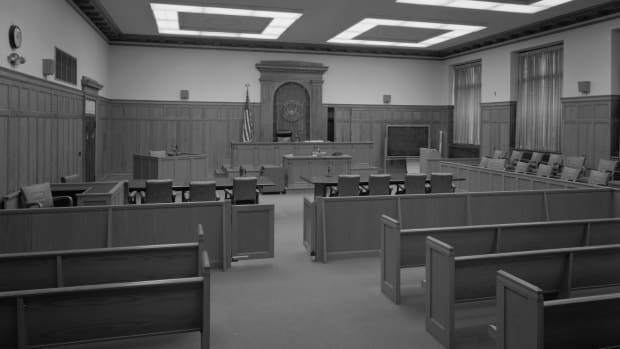 ___: Secretary of Homeland Security Kirstjen Nielsen said she did not know the number of people who have died in her department&apos;s custody at a House hearing late last month. 20: The government shutdown entered its 20th day on Thursday. 800,000: The number of federal employees who have not been paid since the shutdown started late last month. Many are still working and expect backpay when the government reopens.